Which free agent acquisitions flew under the radar? 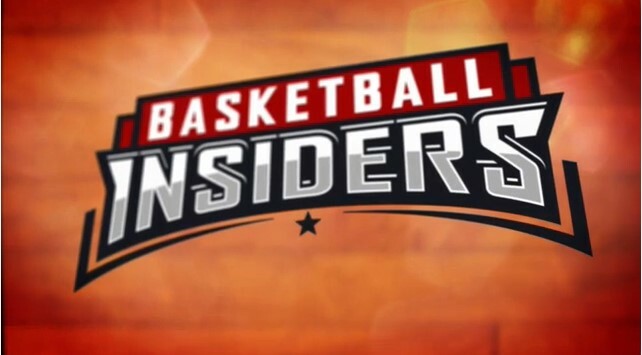 Basketball Insiders’ experts discuss the most underrated additions of this offseason. Myles Turner is stopped almost daily as he walks around Indianapolis. When you’re the No. 11 pick in the NBA draft (and 6’11 with a unique haircut), that’s bound to happen. Fans spot him and ask for a picture or autograph, or just to wish him good luck in the upcoming season. The 19-year-old enjoys these interactions, and his first impression of his new home has been overwhelmingly positive. But even with these frequent encounters and the intense workouts he’s doing each day at the Pacers’ practice facility, Turner says it hasn’t sunk in that he’s an NBA player and that many people view him as a “celebrity.” Remember, he’s still only 19 years old, just two years removed from high school, so this has all been a whirlwind for the big man. To understand just how far Turner has come, consider that three years ago, he wasn’t even on college basketball’s radar, much less the NBA’s. Just before his junior year of high school, he broke his ankle and at that point he was still relatively small, so he wasn’t even ranked among the top 100 high school players in the country. However, a six-inch growth spurt that year and an evolving game allowed him to deliver some monster AAU performances and a dominant senior season. Suddenly, he was the No. 2 ranked recruit in the nation. Cody Toppert, the Director of Basketball Development at ELEV8 Institute, worked with Turner right before his incredible ascent to stardom and for several years after. Turner is one of the most intriguing big men to enter the NBA in quite some time because of his well-rounded game. Like other players who had their growth spurt so late (with Anthony Davis being the most notable example), Turner is extremely skilled and versatile. He can knock down jump-shots from the perimeter to space the floor and has terrific ball-handling skills that shocked Toppert during their early workout sessions. He has these weapons in his arsenal because, prior to his growth spurt, he often played on the perimeter and he modeled his game after swingmen like Kevin Durant and Lamar Odom. However, once he did grow into a 6’11 physical specimen, he became an elite rim protector and solid rebounder while retaining his offensive skill set. Now, he’s a big man who will swat your shot on one end of the court and then pull up for a jumper on the other end. These days, NBA teams want big men who can either space the floor with their shot or defend the paint as a shot-blocker. The fact that Turner does both of those things very well makes him a prototypical big man in today’s NBA. He showcased his two-way game during the Orlando Summer League, when he averaged 18.7 points (shooting 60.5 percent from the field) while also contributing 8.3 rebounds and a remarkable 4.3 blocks. Not bad for a teenager who was putting on an NBA jersey for the first time. 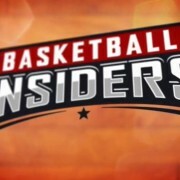 Toppert believes that the Pacers just selected a potential franchise-changing player. Turner is doing everything he can to maximize that full potential and live up to these high expectations. During the pre-draft process, he worked extremely hard with elite trainer Joe Abunassar at Impact Basketball in Las Vegas. This hard work translated into success in his team workouts, which helped his draft stock. Now, he’s training at the Pacers’ facility and putting in equally rigorous workouts. He gets up early every morning, eats some turkey sausage and eggs (“trying to stay on the lean meat and get some protein”), and then heads to the facility for workout sessions on the court (with a focus on post moves and his inside game) and in the weight room. But his day isn’t done, because he typically heads back to the gym later in the afternoon to put up shots. Turner’s work ethic has been praised, but he laughs at this because this doesn’t feel like work to him. Turner has been training alongside fellow rookies Joe Young and Rakeem Christmas, as well as sophomore Glenn Robinson III. However, there is one veteran who recently arrived in Indiana to work out with the young players: Paul George. George has taken the young players under his wing, training with them but also bonding with them off the court. It’s very possible that Turner opens the 2015-16 season as the Pacers’ starting center. With the departures of Roy Hibbert and David West, Indiana’s frontcourt is in need of some help. That’s where Turner may be able to step in right away and contribute. Turner is clear that he hasn’t landed the starting job yet – he’s competing with veterans like Jordan Hill (unless he plays power forward) and Ian Mahinmi – but it is something he’s hoping to earn. “The chance to be a starter right away, that’s one thing I’m working for because it’s something that’s not going to be handed to me,” Turner said. “But it’s definitely an honor getting a good chance to kind of establish myself. What about winning Rookie of the Year? Turner has been getting some Rookie of the Year buzz after everyone saw how dominant he was during Summer League. People see those monster numbers and the fact that he may be a day-one starter and wonder if winning that award is possibly in his future. However, Turner knows that Summer League doesn’t mean anything once the season starts and that he’ll have to prove himself once again. “Yeah [Summer League helped my confidence] and it was good to get those first jitters out,” Turner said. “That’s what I thought Summer League was great for, really. You get that first little pro experience and my confidence started to rise as I was playing. I feel like I did well for myself, but more than anything though I just wanted to get those jitters out since it was my first little stint of being a pro. He still has a lot to prove and understands that Indiana’s veterans will carry the team during his first season. He says he believes the Pacers have what it takes to contend in the East, and adds that the team could have multiple All-Stars in George and the recently signed Monta Ellis. Speaking of which, an All-Star nod is another one of Turner’s goals, but obviously not until later in his career once he’s closer to his prime. Turner is certainly a young player to keep an eye on in the years to come, as he seemingly has all of the attributes to thrive in the NBA. Right now, he’s not getting as much attention as some other lottery picks like Minnesota’s Karl-Anthony Towns, Los Angeles’ D’Angelo Russell or Philadelphia’s Jahlil Okafor, but that’s fine with him. He’s no stranger to becoming a star out of nowhere. In case you missed it over the weekend, former Duke point guard Quinn Cook joined me on the podcast to discuss his college experience, the impact Coach K has had on his life, what it was like attending Oak Hill Academy, the incoming NBA rookie class, his friendship with Kevin Durant and much more.